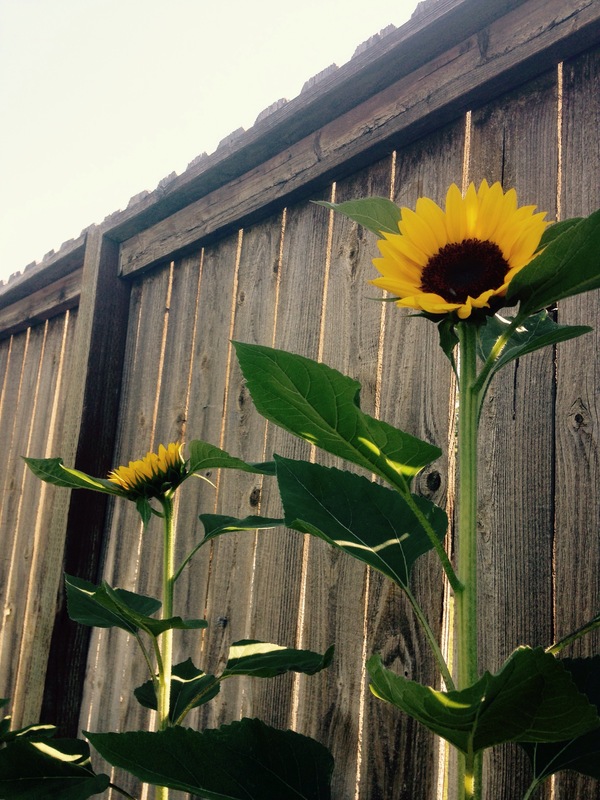 Our Sunflowers are blooming. I bought the seeds and brought them home. Hubs took and planted them in little pots, giving them a head start before putting them in the garden. He then spent hours on hands and knees digging through more rock than soil, slicing weed barrier and pressing bark deep into his flesh as he planted them all along the back fence. We have watered and nurtured these little babies for many many weeks now. Such a joy to behold! When I say “we” I actually mean “he”. God has blessed me with a man who understands my limitations. Hubs has a seemingly infinite ability to show grace in the face of my chronic illness. I dabble here and there, trying my best to contribute in some meaningful way to our household but he is the chief cook, gardener, housekeeper, and dog caregiver. As well as MY caregiver. And I just wanted you to know. I know it is for me. I hope it is for him.